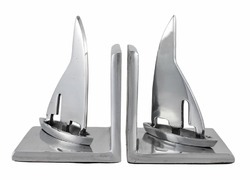 Our range of products include aluminum sailboat bookend, aluminum bookend set, wooden bookend, metal bookend, aluminum car bookend and aluminum book stand. 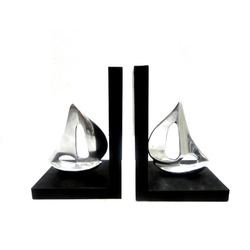 Owing to our vast experience in this domain, we have been able to offer world-class Aluminum Sailboat Bookend to our clients' end. 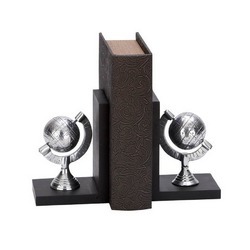 Our organization is counted among the most prominent manufacturers and exporters of premium quality Aluminum Bookend Set. 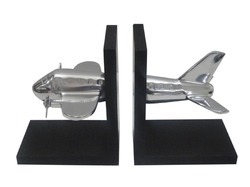 Our professionals precisely manufacture these bookend sets using corrosion resistant aluminum, under the supervision of our team of expert professionals. Offered sets are demanded in our drawing rooms, executive cabins, hotel rooms, receptions and meeting rooms. These sets are appreciated for their classy look, attractive design, corrosion resistance and long service life. Owing to our vast expertise in this domain, we are manufacturing and exporting high quality Wooden Bookend. To bring out best quality products our professionals are using quality tested wood that is obtained from reliable vendors. 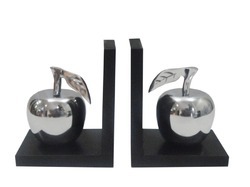 Offered bookends are highly demanded in various offices, receptions, hotels and libraries. 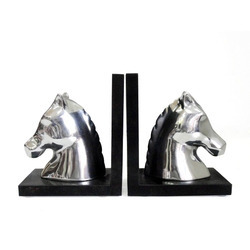 These bookends are known for their smooth finish, classy design, attractive color and durability. We are leading manufacturer and exporter of superior quality Metal Bookend. Owing to our vast experience in this domain, we have been able to offer world-class Aluminum Car Bookend to our clients' end. We are leading manufacturer and exporter of superior quality Aluminum Book Stand. We are leading manufacturer and exporter of superior quality Aluminum Book End. Owing to our vast experience in this domain, we have been able to offer world-class Aluminum Book Holder to our clients' end. 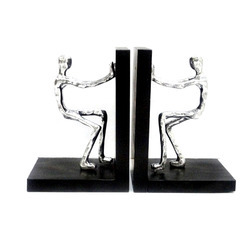 Our organization is counted among the genuine manufacturers and exporters of high quality Metal Bookend Pair. These pairs are manufactured under the strict supervision of our team of experts, using finest quality metals that are sourced from trusted vendors. Our bookend pairs are widely demanded in our executive official cabins, receptions, meeting rooms, conference rooms and personal living rooms. 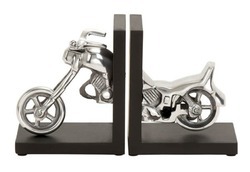 Besides, our bookend pairs are suitable for the gifting purposes. 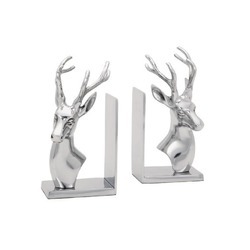 Aided by our equipped infrastructure and dedicated workforce, we have been able to offer optimum quality Aluminum Reindeer Bookend Set in different eye-catching designs. Offered sets are manufactured using premium quality aluminum in the compliance with industry set specifications. Offered bookend sets are widely appreciated by our clients for their exclusive design, corrosion resistance, light weight and smooth finish.